Technology has long been a factor is shaping entertainment. Today in the music industry, it’s enabling new consumption models and revenue streams, broadening reach while changing the models for commerce. It's helping to build a stronger sense of community and connection between artists and audiences. But with each successive technology ‘wave’, new opportunities and challenges emerge which requires changes in process, practice and supporting infrastructure to take best advantage of the possibilities. The recent Grammy® FutureNOW seminar in Austin brought together artists, technologists and business luminaries to examine the issues a nd trends at the intersection of music-driven technology, brand and commerce. 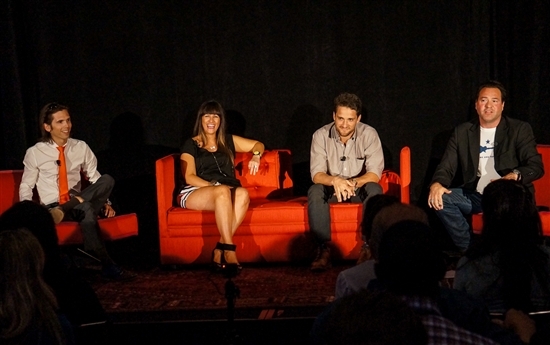 Dell’s Brand Experience Manager and Cultural Engineer Lisa Martin-Louro was part of a panel at FutureNOW addressing what technology is doing to enhance the Austin City Limits (ACL) experience for audiences world-wide. With the announcement last month of a multi-year sponsorship for Austin City Limits, Dell has moved to the forefront as one of the key technology enablers for the live music industry. ACL remains the longest-running music series in American television history and a mainstay of PBS programming. In recent years, ACL has expanded its brand to one of the top music festivals in the US (the ACL Music Festival) and relocated its studio to a state-of-the-art performance and broadcast space in downtown Austin (ACL-Live at the Moody Theater). ACL’s goal is to maintain their brand as one experience, wherever and however it's accessed. Because of this focus, they're seeking new ways to involve more viewers and music fans in the 'live' experience of an ACL recording, while giving them a full fidelity and brand-coherent experience. The panel noted that Dell’s involvement with ACL began several years ago, and over time Dell has been integral to the success of all three ACL entities (broadcast, festival and ACL-Live). In the past year, Dell stepped forward to help ACL figure out how to bring the live experience of an ACL taping to a world-wide audience via webcast, letting people see the ENTIRE taping end-to-end versus the ‘curated’ version that’s broadcast via local PBS stations. They realized that they needed a high-powered server backbone plus a software application that could discern the device the viewer was using to access the stream, to instantly convert and optimize the experience. And of course, they needed redundancy and supporting infrastructure to ensure that the experience wasn’t interrupted for the viewer. Adding to this complexity is the fact that ACL uses eight cameras to generate the video that’s used to produce the show. Finally, the live video streams are actually shipped using a broadband ‘pipe’ to the KLRU studios on the campus of UT Austin before they’re streamed onto the internet. In collaboration with Austin City Limits, Dell solved these technical problems and provided a customized end-to-end technology solution that results in flawless streaming programs for viewers around the world. ACL’s view is that this is what technology is supposed to do: provide new ways of connecting audiences to music that really changes the experience for the better. This continuing collaboration between Dell and ACL preserves and reinforces the brand image of Austin City Limits as a leader and innovator in expanding the live music experience. The sweet music that’s made with Dell’s support is changing the face of Austin City Limits in a great way. The live streaming of the recent Austin City Limits taping of the Colombian superstar Juanes was powered by Dell and promoted by social media to Latin American audiences. This greatly expanded the viewing population with more than 15,000 playbacks. Even better, over 9,000 of those came from outside of the US, based upon measurements by the Dell social media team. 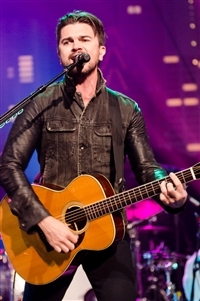 The Juanes episode will air with Austin City Limits' Season 39, beginning in Fall 2013. Check local listings for the broadcast date and time, and the ACL website for web replays and upcoming live streams.